HuaiKhwang Market is actually spread out along Ratchadaphisek road. 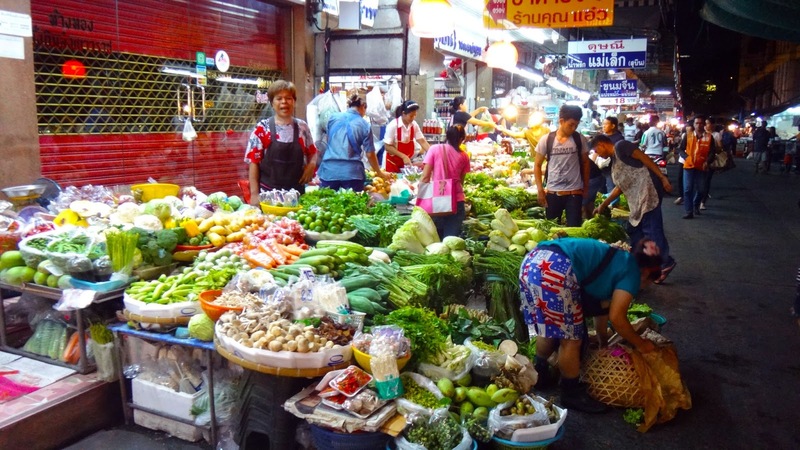 You can easily get to this market by Subway (MRT) at HuaiKhwang station. From there you can walk and wander around the place which miles and miles away on every corner or the little small ally and side walk. Here is where all the local people go to get food for cooking, lot of great Street Food. Everything here is so fresh and sometimes I can just find myself that also here must of the stuff are incredible cheap too. It seems like everything got brought here from everywhere in Thailand. No matter what and how local and strange of Thai ingredient food need, you can probably find it here. A good time to visit here is from 6 pm till 10 pm. It will get busy after work as everyone goes home and need to get dinner or something to cook at home or even shopping for clothes, kitchenware and all kind of things. 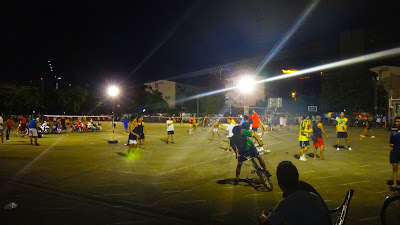 Also if you walk farther away from MRT station around a kilometer you will find yourself in the middle of a playground and basket ball court. 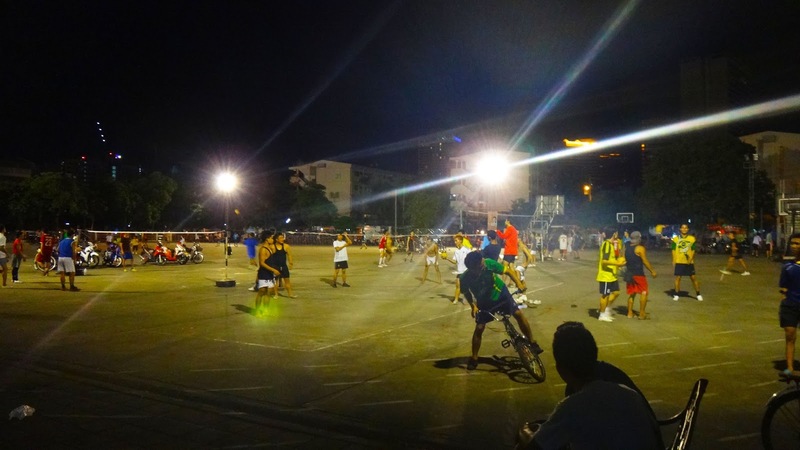 Here is more like for young local people to hang out play football and basketball. It is surrounded by lot of mobile clothing shops. 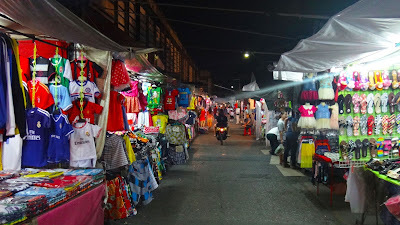 It’s a good place for shopping for cheap fashion clothing. After this if you feel hungry why don’t you try some Street Food here? 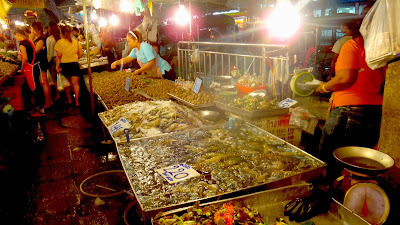 When people talk about “Street Food” most of the people will think about some kind of cheap and dirty restaurant which all kinds of rat and cockroaches running around in the kitchen, but here in Bangkok Street Food actually feeds most of the population in this city. I also usually eat out. It’s just better and cheaper here. Some of the Street Food here even tastes better than in the big restaurants. So, for someone who is here in Thailand for the first time, I would recommend you to start with something that has been cooked hot before you take it. Well from here I hope you enjoy your shopping and tasty food. 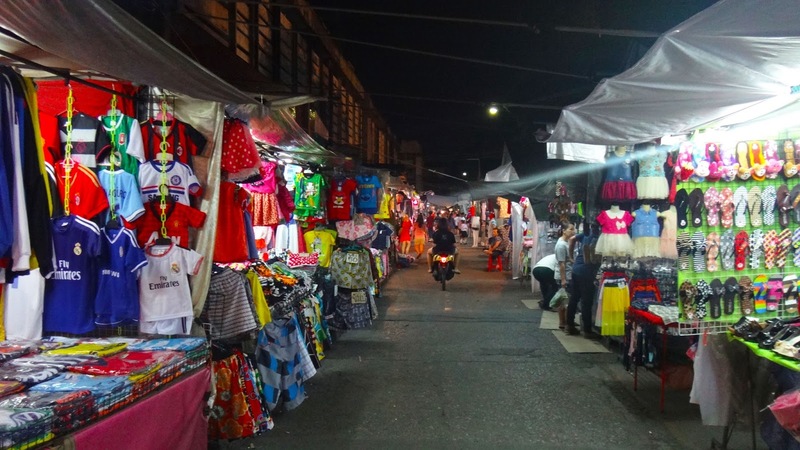 Night Market Bangkok, a reincarnation of the one in Sanam Luang, is dedicated to food and second-hand goods. If anything, the price of goods is very cheap, and if you look around carefully enough, you will find some worthwhile items to add to your room, closet, or private souvenir collection.